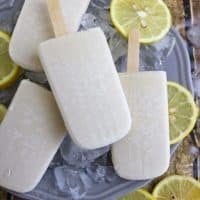 Maybe all that Limoncello clouded my judgement, but, y’all, these super easy, dairy-free, Creamy 3-Ingredient Limoncello Popsicles were “Mama Mia goooood!” Try ’em and see for yourselves? It’s funny, but that evening when my daughter and I found ourselves in a teeny-tiny hotel room with an even more teeny-tiny shower in Rome (Italy), I remembered thinking, ooh I cannot wait to be back home in my house – in my bed – in my shower. But, that was before morning dawned and we began our wandering around that gorgeous city. Now – home will never be the same for me (of course that might have something to do with the fact that this soon-to-be-empty-nester is hoping to put this house on the market and move…but that’s a story for another blog post). One of the Limoncello shops we visited handed us samples of Limoncello and Limoncello Crema (which is Limoncello mixed with milk, sugar and vanilla) and explained that the Limoncello there was so good because it was made using the ginormous Femminello St. Teresa lemons, aka Sorrento lemons, that we seemed to run into on each street corner in Amalfi and in Sorrento. Cesare (one of our passionately food-obsessed tour guides) told me to try Limoncello poured onto gelato cos it was just “Mama Mia goooood!” He also told me where to get my hands on some Limoncello Ricotta Cake. Now – I tried the former and I gotta say, he was right: gelato + Limoncello = “Mama Mia goooood!” But, I never quite made it to the store he mentioned to pick up some of that cake…which means I need to go back – right? Now, I didn’t want to get blacklisted by U.S. Customs so I didn’t bring any Femminello St. Teresa lemons lemons home though I wish I had, but I did bring home some Limoncello and Limoncello Crema and used a bit of the Limoncello to make these super easy, Creamy 3-Ingredient Limoncello Popsicles. I just used evaporated coconut milk, sugar and Limoncello. Y’all, am not sure if it was the Limoncello talking after all the “taste-testing” I was doing – but, these here Creamy 3-Ingredient Limoncello Popsicles sure were “Mama Mia goooood!” ….and am thinking I will need plenty of these over the next few months as I begin the daunting task of going through all the accumulated stuff in this house as I try to get it presentable to sell…wanna come help? I’ll pay you with Limoncello Popsicles? In a bowl, mix together the coconut evaporated milk (btw, you can use regular evaporated milk as well), Limoncello and sugar well till sugar is completely dissolved. Pour into popsicle molds and freeze for 2 or more hours and enjoy. We are back – got back last Tuesday – and had 2 days of college orientations to attend as soon as we got home. Oh…and also btw – this place down the street from y’all comes with 24 hour access to y’alls kitchen? If so am putting a bid in pronto! 🙂 Happy Monday David! Now I will have to try the combo of gelato and Limoncello! These ice pops look awesome. How refreshing are these! Love them! 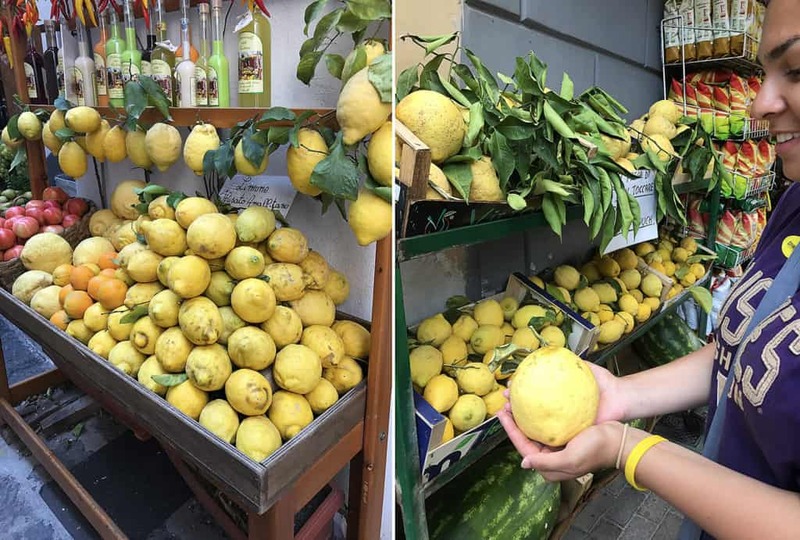 Omg I love limoncello those look not just beautiful but I can almost taste how delicious they are!! Oh my! I love Italy and anything Italian 🙂 Must try these popsicles when I get my hands on Limncello! wow your Rome trip sounds incredible and yes you do need to go back for that cake, I will have to go with you :). OMG, I am SO jealous!!! I hope you guys had a BLAST in Rome! From the sound and looks of it, you definitely did!! 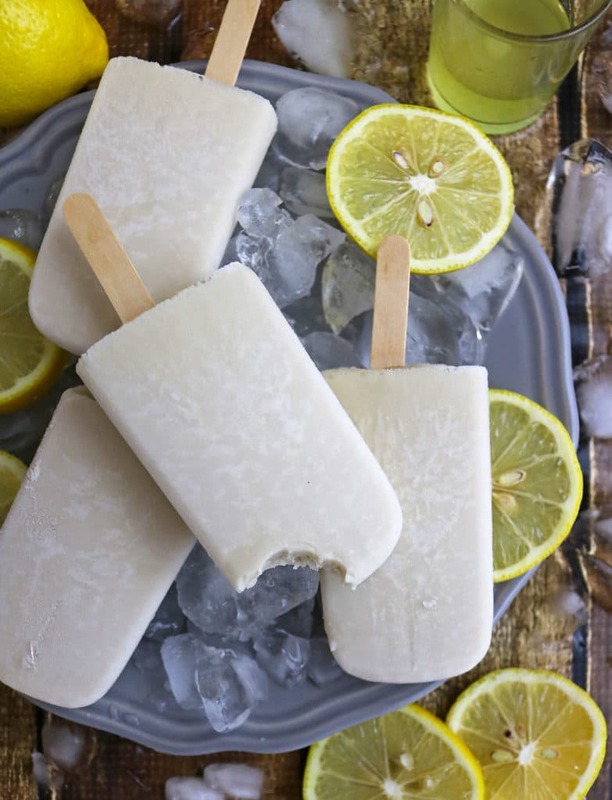 I love love loooove limoncello, so these popsicles are BRILLIANT! I could easily devour a few dozen of these tart beauties! Pinned! Cheers, friend! Ah Rome. Gosh now you’re taking me back Shashi! When I was a student in the 1990’s my friends and I bought inter-railing tickets and traveled about Europe with our rucksacks and a shared tent. They were wonderful days and I so long to take Lynne to see Rome (and all the other European cities we ventured too). 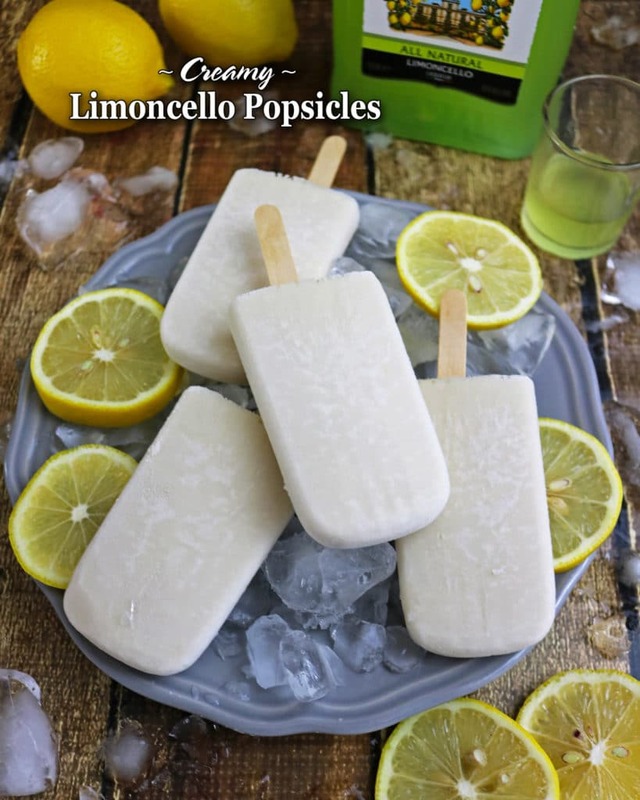 Love these Limoncello Popsicles! In fact I was only just talking about Limoncello and my Rome adventures on Saturday night at our favourite local Italian Restaurant. I even persuaded Lynne to try a Limoncello (she really didn’t need persuading) and she loved it! Glad you are both home safe and sound and looking forward to hearing all about your adventures! These delicious adult pops sound so refreshing. Limoncello is so lovely to sip on in the afternoon while watching the people passing by on the cobble stone streets of Tuscany or as a ice lolly on your balcony, no matter where you are in the world. First of all, Shashi, your pics have been GORGEOUS! Can’t stop looking at your IG stories! So so pretty!! 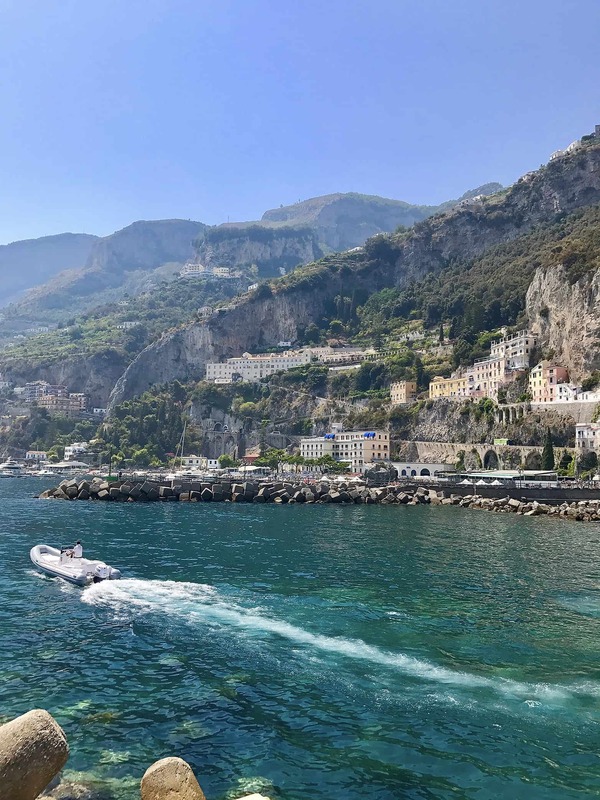 What a trip of a lifetime and it only reminds me that hubby and I have to go to Italy, like, yesterday! Love lemon anything so these are right up my alley. 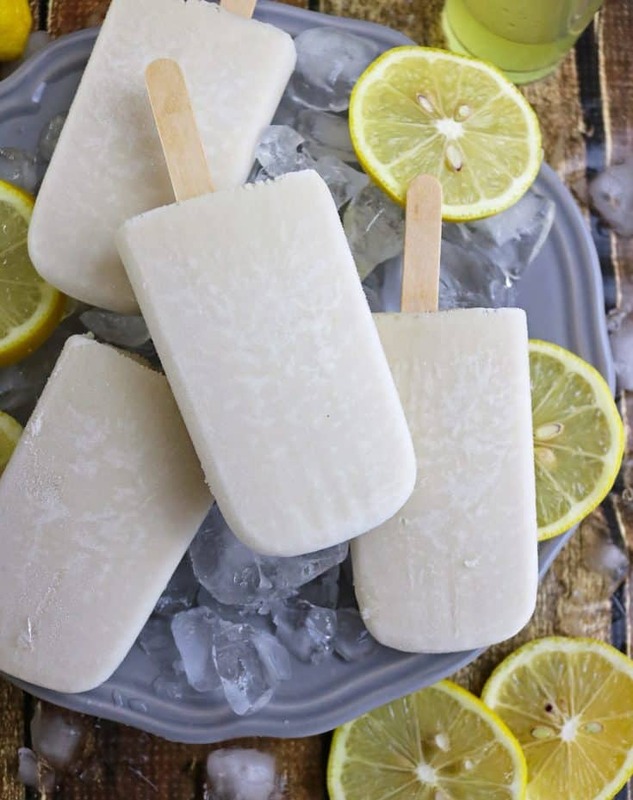 That limoncello cream sounds amazing and the perfect treat as does these pops! And so simple to make! Pinned, of course. P.S. where ya moving? That’s gotta be kind of exciting, right? ?